I have been grieving lately. 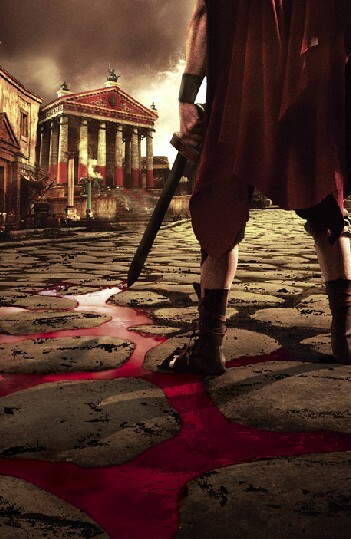 It appears that the greatest show EVER MADE (I’m talking about HBO’s Rome, of course) is ending next Sunday. I don’t know how I’m going to go on…. Apparently they have to stop after two seasons because the show is too expensive, even for HBO AND the BBC. I believe it, since it has the largest set in the world (seriously), not to mention a bajillion costumes/props – all of which are historically accurate. There aren’t words to express how much I’m going to miss Rome ……. Speaking of Rome, I recently finished reading I, Claudius and Claudius the God by Robert Graves. Both were brilliant – so much so, that I may re-read both of them! With the ending of Rome, and the finishing of two of the greatest Roman historical-fictions ever, I was jonesin’ for some more Roman history-drama. So I drove all the way to a far away Barnes & Noble and picked up a copy of The First Man of Rome by Colleen McCullough – only because it was on my Amazon recommended list and had “Rome” in the title. Well I’m SO glad that I did! I’m 260 pages in (out of 1000+) but I’m addicted. The past two nights I’ve gotten about 4 hours of sleep (each) because I can’t put it down! It’s not exactly as erudite and poetic as Graves’ work, but it is very suspenseful without being overbearing or implausible. This entry was posted in books, history, tv. Bookmark the permalink. glad you liked the HBO’s & BBC’s Rome. I loved it. I am a man from Rome, Italy, interested in all regarding ancient Rome (I loved Grave’s works too). I consider myself like a sort of living fossil, or a mummy, if you prefer, of that period. After all, my mother tongue, Italian, is not very different from the Latin spoken by the common people at the times of the late Roman Empire, and many Italian behaviours are still related to the Ancient world, like the cult of Saints, who are a sort of maquillage for our old Gods and Goddesses, or even our Carnival, most of which is coming from the Roman Saturnalia festival.